Bungie is currently hard at work addressing error code PONY in Destiny 2, though there are a few fixes you can try as well. In Destiny 2, players are being met with a frustrating error code labeled PONY. The PONY error code in Destiny 2 makes it so that you lose connection to the game’s character servers. 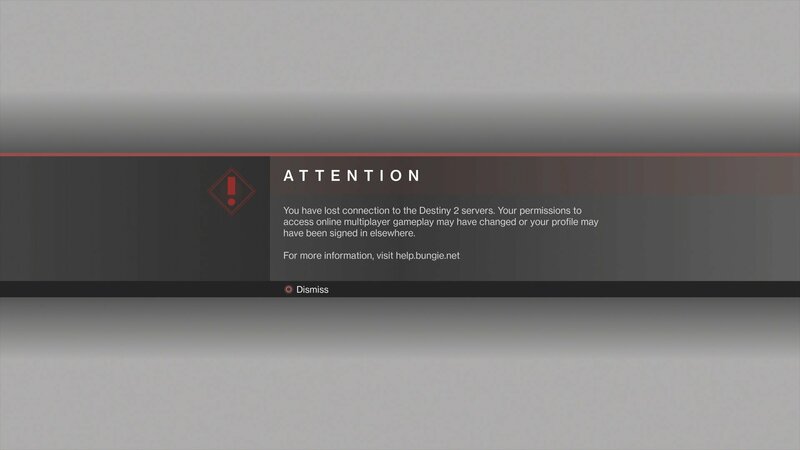 As Destiny 2 is an always-online game, being unable to connect to these character servers makes it so that you’re unable to fully play the game. Right now, there aren’t many fixes available for error code PONY, though Bungie has noted they’re hard at work patching the problem. While waiting for Bungie to correct the issue at hand, here are a few things you can try when trying to fix error code PONY in Destiny 2. Players have been experiencing an error code labeled PONY in Destiny 2 following the launch of Solstice of Heroes. Again, there aren’t many options currently available when trying to fix error code PONY in Destiny 2. While Bungie works on a patch, they recommend turning your console/client on and off again. When in doubt, turn everything off and completely restart Destiny 2. If that doesn’t fix error code PONY in Destiny 2, the next thing you can try is clearing your console’s cache on PS4 or Xbox One. To clear your console’s cache, you’ll need to turn your console off, then unplug it from its power supply. Leave your console this way for five minutes, then power your console back on. We are still investigating issues causing players to receive PONY errors in Destiny 2 on all platforms. If error code PONY is still an issue for you in Destiny 2, the last resort is to follow Bungie on Twitter for additional tips and news. The recent update and launch of Solstice of Heroes is likely one of the reasons why players are getting error code PONY. As such, the best way to fix this is for Bungie to roll out a hotfix or patch. Fortunately, Bungie has noted that they’re aware of the problem, and are working on correcting error code PONY so that players can get back to enjoying the Solstice of Heroes event in Destiny 2. By reading through this guide, you should now know how to fix the PONY error code in Destiny 2.